A beautiful antique Benson style pullman lamp. 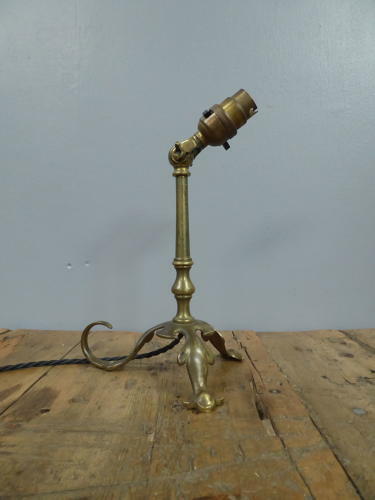 An iconic lamp in the manner of William Arthur Scott Benson, in gilt brass with a good age related patina. The underside of the lamp is feintly marked with serial numbers & a Victorian style kite stamp & it comes rewired in twisted black flex.